Police Scotland is urging those intending to go to one of the games, shows or events in the North East this weekend to plan ahead and know how to get home safely. Police have been working for months with organisers to ensure all the events on across the North East are as safe as they can be. Chief Inspector Murray Main said: “The North East has many vibrant towns, villages and other thriving communities and over the summer there are a range of fantastic local events taking place. He added: “However, those attending share the responsibility and there's some simple things you can do to help. If you are planning on having a drink, please remember and take some basic steps intended to help you enjoy the occasion. “Be aware of your own limits and how alcohol can negatively impact on your behaviour. Drinking excessive amounts of alcohol or taking illegal drugs can put you at more risk of becoming involved in crime, either as a perpetrator or a victim. ‎"Know in advance how you intend to get home and make sure you keep your personal belongings safe. 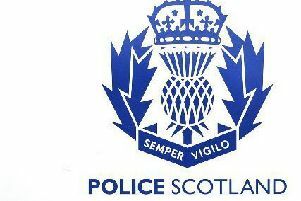 "There will be additional high visibility patrols at and around the summer’s shows, marquees and events including at the Echt Show this weekend and make no mistake, antisocial behaviour, violence or disorder of any kind will be dealt with robustly. "Officers will be working with organisers and partners to ensure the minority don't get the opportunity to spoil it for others.